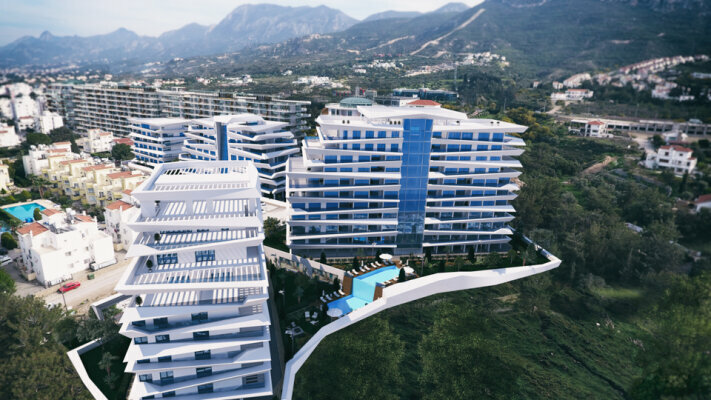 A wide selection of apartments located within the central Kyrenia with astonishing mountain and/or sea views. Infrastructure within this project includes SPA & Wellness, Swimming pools both indoor and outdoor, 24/7 security and will be featured by the Cyprus' largest gym. The project consists of 3 blocks, 162 apartments (one-, two-, three- and four-bedroom). Discounts on the full payment as well as payment plans are offered.